I am quite curious, how you use Blender within your workflow as a designer. Do you use Blender mostly for visualisation of your products or also for development? Along which other software do you use it mostly? I can share how I use it in architectural design. For those of you that may have seen some of my videos on youtube, I work mostly within the conceptual design stages of projects, for which Blender has become my go-to-tool due to being able to work non-destructively with modifiers and being able to group multiple meshes in a single object. I usually start out with a satellite image of the site.I, then create the context in blender and start producing initial massings of the project. At this point, everything is quite rough but gives me a sense of scale and dimension. Then I usually produce some clay renders that I sketch over and bring back new ideas into Blender. When I have a design massing more or less happy with, then depending on the project, I import it into Rhino to either remodel it with nurbs and/or focus on sketching out the interior of the project. If it’s something more complex, then I may redo an exterior envelope for example in grasshopper to get optimised paneling. I work back and forth between Blender and Rhino constantly, and usually do final touches back in Blender, including adding detail for rendering out proposals.Then, onto designing reports and presentations. Usually, Blender is only part of a bigger pipeline in my case. With enhanced features, it is taking a more central role, but good synchronisation with other apps is still pivotal (mainly speaking about commands). It depends on the project type, it’s role can vary from sketching (massing) if it is conceptual stages in architecture, geometry detailing for checking space functionality (if it is a part of later project phase), or material assigning, lighting and rendering (presentation phases). In any case, Blender shares the pipeline with all those graphical and office apps that are part of a full project documentation production line, sometimes up to 7 or 8 apps in total. That’s quite a large and useful row. Do you use Autocad or Revit or something else for CAD? That varied through time, depending on what the employer was equipped with at the moment. Mainly standard CAD apps, with no BIM features. I believe a good BIM app would scrape Blender out of the engineering pipeline. However, it seems the 2.8 with RT engines and enhanced interaction (not to forget the emerging Archipack) will have a secure position in any pipeline, BIM or no BIM. That’s a great use. Do you think that Sketchfab offers similar interactivity to the Blender to Unity/Unreal/Godot architectural usage? Hello, I know that this is an old post, but I want to tell you about my experience. I’m quite new to blender. I started a few weeks ago to visualize the project I’m designing right now. I do the bulk modeling in Revit and then I use blender for minimal modeling and adding furniture, vegetation… It’s far from a perfect workflow (e.g. Revit objects don’t have bevels, when exported to fbx all planes are formed by multiple triangular faces…). But it’s the best way I’ve found to achieve good renderings with free rendering software and a not so powerful computer. Thanks, it may come in handy in the future. Edit: I just tried the addon, the bevel modifier doesn’t work with the OBJ geometry (at least when exported from the addon). I’ll keep using FBX. 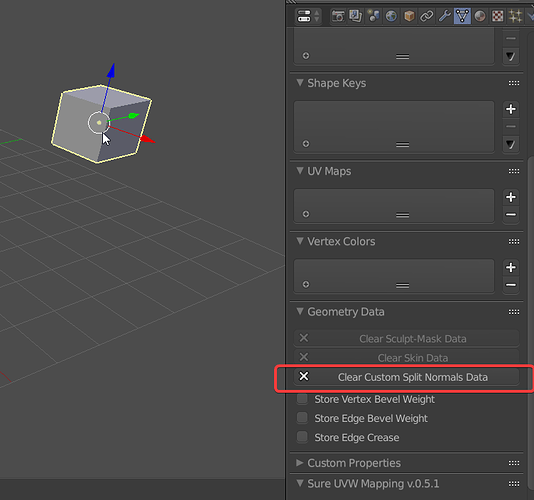 you may need to clear custom split normal data of the imported objects.